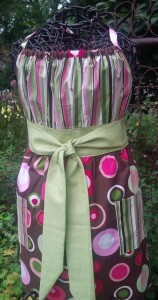 Our newest style, we are loving the gathered bodice, wide waistband and ties that knot in front. 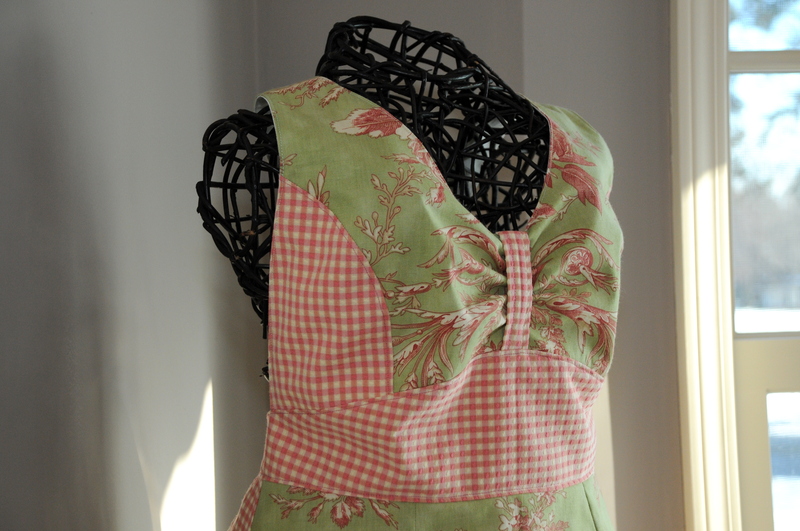 We also make this apron with an empire waist and long skirt with ruffle. 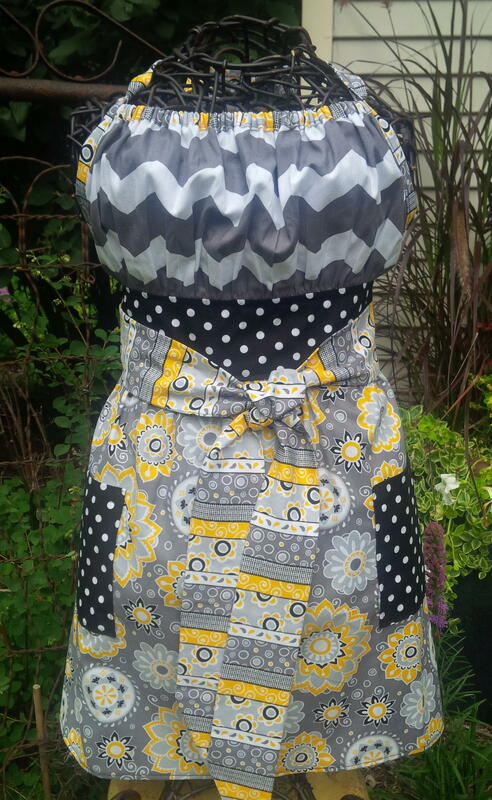 Either way, it’s great made with retro fabric or mixed prints! Chicken prints are fun and popular. 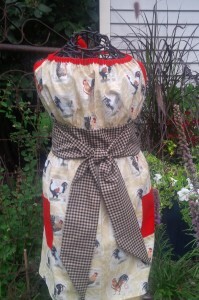 This yellow and red combination is very french-country!